Starting from the heart of India, Delhi; the Palace on Wheels chugs along to take you to the Mahals of Jaipur, wilderness of Ranthambore, sparkling lakes of Udaipur, charming blue walls of Jodhpur and wondrous Taj Mahal of Agra. 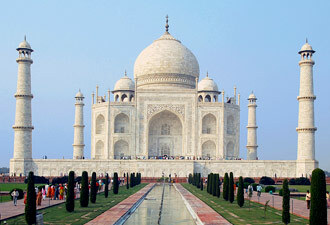 This eight day journey covers the legendary Golden Triangle Tour of India. Right from Britons' creation to the bloated domes and fine ornamentations of Mughal architecture, the train stops over to showcase every enlivening facet of India. Every morning your eyelids will open with the glare of a new illuminated tourist destination. So, cure your wanderlust and read further for the details of the Palace on Wheels itinerary. In the evening, around 4 PM, assemble at the Safdarjung Railway Station to enjoy a traditional welcome. 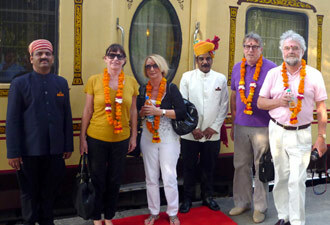 Complete your check-in formalities for week on board the famous Palace on Wheels train. Enjoy a welcome drink. Later, you'll be escorted to your respective cabins through a personal attendant. Have dinner at any of the 2 restaurants of the train. The train chugs along its way towards Jaipur. Early morning in Jaipur, Rajasthan's capital, also known as the Pink City. Following a breakfast onboard, guests are welcomed at the Jaipur Railway Station & proceed for a sightseeing tour in Jaipur. The attractions that you will cover include the famous City Palace (It is an architectural wonder of Rajasthan and offers a perfect blend of Mughal and Rajasthani architecture), Jantar Mantar (Jantar Mantar is the biggest amongst the five stone observatories of India built by Maharaja Jai Singh II in the 18th century) and Hawa Mahal (This pyramid five-storey façade is amongst the most popular and most visited attraction of Jaipur tour). Thereafter, you are taken to the Amber Fort, where you can also have your lunch. Here you can shop for souvenirs in the form of handicrafts, gemstones, jewellery and traditional clothes etc. 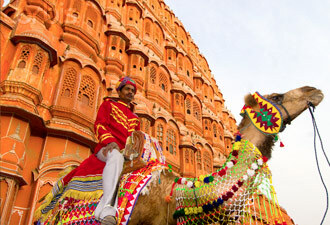 After sightseeing, you will be taken to the local markets of Jaipur. Here you can shop for souvenirs in the form of traditional clothes, gemstones, handicrafts and jewellery. By 6 PM, return back to the train for the evening tea. Dinner and overnight stay on board Palace on Wheels towards Jaipur. On the 3rd day of Palace on Wheels tour, enjoy an early morning visit to the world-famous 'Ranthambore National Park'. Spread over an area of 1334 square kilometers, Ranthambore National Park attracts nature lovers, photographers and film makers from far and wide. The Royal Bengal Tiger is a major draw of the park. The Jungle is home to Tigers, Panthers, Pythons, Deer and numerous bird species. Later, you de-board the train to explore the prime tourist attractions of Chittorgarh including the magnificent Chittorgarh Fort. The evening is scheduled for enjoying a high tea and Son-et-Lumiere at the fort. Dinner and overnight stay on board Palace on Wheels. The train will move towards Udaipur. 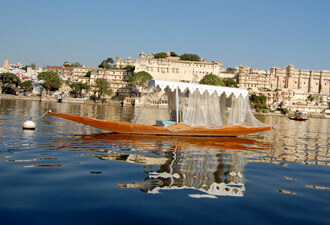 On the 4th day, arrive in Udaipur by 0800 hours. 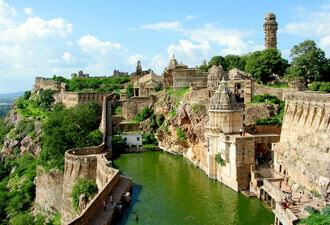 The city was established in the 15th century by Maharana Udai Singh and is quite famous for its lakes and palaces. 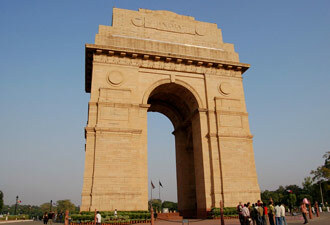 Some popular attractions that you will visit include Jagdish Temple, Jag Niwas Lake Palace, Jag Mandir and so on. Later, enjoy a lavish at the luxury hotel. The next visit of the day is towards the City Palace and the Crystal Gallery. Boat ride in the evening on Lake Pichola. Dinner and overnight stay onboard the Palace on Wheels. On the 5th day, the train enters the city of Jaisalmer. Post breakfast on-board the train; embark on a sightseeing tour of the city. The list of the attractions in Jaisalmer includes the well-known Havelis (mansions) including Salim Singh ji ki Haveli, Nathmalji ki Haveli and the Patwon ki Haveli. Thereafter, you can also shop at the popular local market for some exclusive handicraft stuff, which you can carry back home in the form of souvenirs. Lunch will be arranged at a famous city restaurant. Later, embark on a sightseeing tour across the world popular Sam Sand Dunes. Enjoy a memorable sunset view through camel ride. Stay overnight on board the train and depart for Jodhpur. On the 6th day, arrive in Jodhpur followed by dinner on board the train. 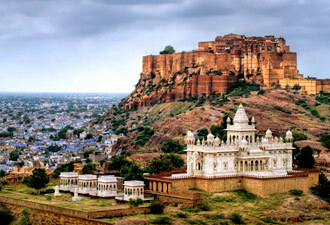 Later, leave the comforts of the train for sightseeing tour across Jodhpur. The sightseeing tour includes prime attractions of the city such as the Mehrangarh Fort, Jaswant Thada and the Umaid Bhawan Palace. The lunch is scheduled in a palace hotel. Thereafter, you can explore the famous markets across Jodhpur city. Besides, you can explore the wonderful markets across Jodhpur city. Dinner and overnight stay on board Palace on Wheels. On the 7th day, around 6.30 AM, proceed towards the UNESCO World Heritage Site of Bharatpur Bird Sanctuary. Enjoy the cycle rickshaw ride to view as many as 375 species of local and migratory birds. Thereafter, return to the train for breakfast and depart by 8:45 AM. Around 10.30 AM, Palace on Wheels drops you at the Railway Station and proceeds to visit the UNESCO World Heritage Site of Agra Fort, seat of the powerful Mughal Empire. Do not miss shopping at the Agra markets where you can get hands on some interesting items such as jewellery, leather goods and marble souvenirs etc. Have dinner at a city hotel. Later, return back to the train for journey back to Delhi. Today is the last day of your Palace on Wheels tour. By 5.30 AM, return back to Safdarjung Railway Station in Delhi. Post early morning breakfast, check out by 7. 15 AM.